Wonderful brown pastry, perfectly done grilled meat, tender fish, poultry with astoundingly even golden brown crust - everything is cooked without oil! Is it possible? With the multipurpose halogen oven REDMOND RAG-241-E you may forget about extra calories and cholesterol. Convection thermal food processing technology realized in it allows to achieve wonderful results: hot air stream, circulating in working chamber, renders fat from any product (meat, fish, poultry), so that the ready dish is soft and rich. One more advantage of the halogen oven REDMOND RAG-241-E is its small size. The halogen oven is combined with a transparent glass lid. Thanks to 22.5 cm diameter you may use any suitable heat-resistant dishware as a working capacity. 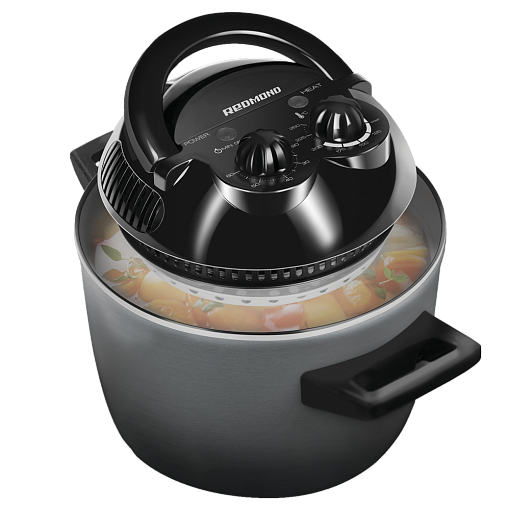 Besides, REDMOND RAG-241-E will be perfectly suitable for cooking food in multicookers of any brands with 4, 5 and 6 litre capacity. Cook deliciously! Eat healthy with the multipurpose REDMOND halogen oven! 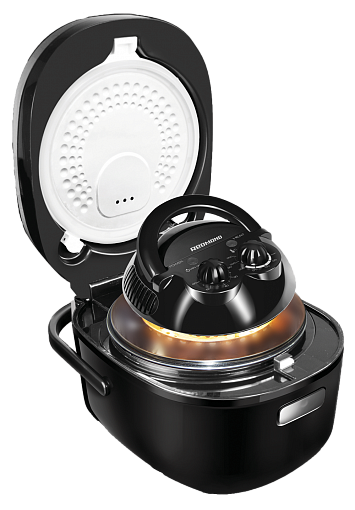 The appliance is intended for use with heat-resistant cookware compatible with a 22.5 cm diameter lid. The oven cooks food by heating the air inside the cooking vessel. The halogen heating element creates intense heat and the fan, mounted in the lid, gently circulates the air. Super-heated air circulates throughout the cooking vessel. 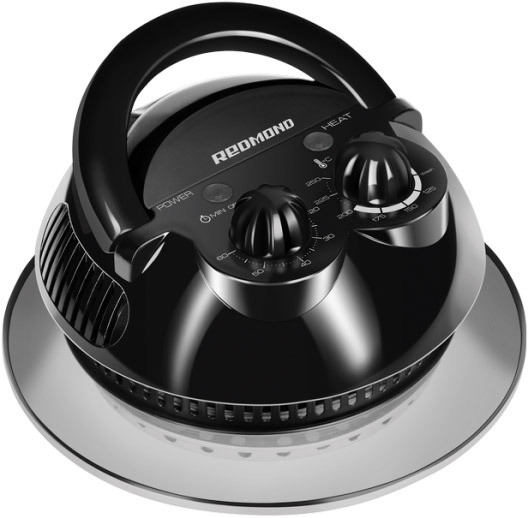 The fan constantly moves the air down and then back up, ensuring quick and even cooking. 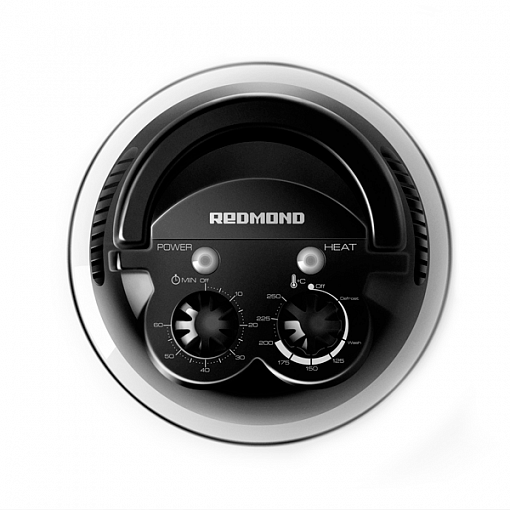 The intensity and the temperature of the airflow can vary depending on the selected cooking mode, reaching 250°C. A built-in thermostat monitors and controls the oven temperature switching the heating element on and off when necessary.